With a surprise move, Indian Prime Minister Narendra Modi announced tonight a new visa type. Meaningfully named Hippy Visa India, the certificate is intended for foreigners who want to chill out in India for ten years or more with no intention to contribute to the Country’s economy whatsoever. Who can apply for Hippy Visa? While travellers from 128 countries are entitled to apply for the new Hippy Visa India, the certificate is not for everyone. As per the condition, visitors who wish to apply must provide Indian Embassies evidence of their lifestyle prior the departure. As stated by the Ministry of Tourism, the decision to grant or not the Visa to individuals will be taken almost randomly, according to Indian Style. Nevertheless, zero-income, shabby dress style and heavy consumption of drugs are supposed to facilitate the process. An active role in Arambol Carnival parade will also be beneficial in order to obtain the new visa. While in India, the Hippy Visa can be obtained at police offices in the following cities: Arambol Beach, Gokarna, Rishikesh, Dharamsala, Hampi. 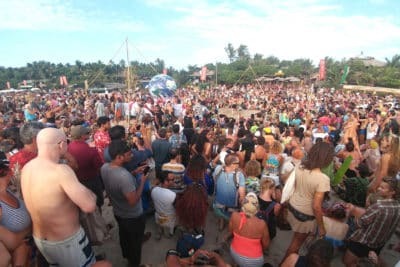 How much does Hippy Visa India cost? 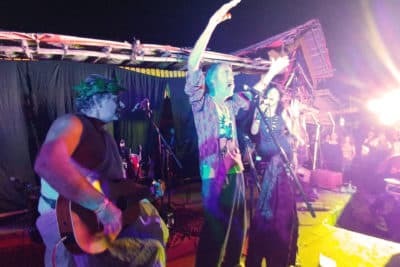 The cost of the new Hippy Visa India is 2,000 USD. However, individuals that meet the conditions can obtain the certificate by exchanging bracelets, stones, second-hand clothes and even reiki, tantra or consciousness classes to local authorities representants. 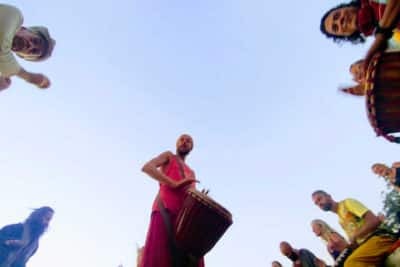 Arambol musicians are eligible for a free Hippy Visa India. The Indian Government has promoted the new Hippy Visa India as part of a broad initiative named Global April Fool’s Day.